Space... the Final Frontier. 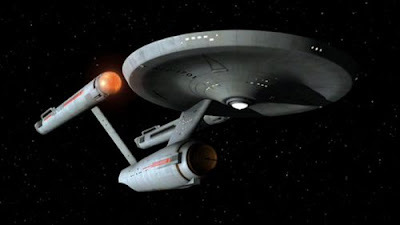 These are the voyages of the starship Enterprise. Its five-year mission: to explore strange new worlds; to seek out new life and new civilizations; to boldly go where no man has gone before. We are cautiously entering the Delta Rana star system three days after receiving a distress call from the Federation colony on its fourth planet. The garbled transmission reported the colony under attack from an unidentified spacecraft. Our mission is one of rescue and, if necessary, confrontation with a hostile force.